If you’re familiar with natural health, chances are you’ve heard about ginseng. Bud do you know that there are different types of ginseng? Also called Panax notoginseng, Tienchi ginseng is just one type and it promotes health and energy in a similar fashion as American ginseng, Eleuthero, and Jiaogulan. It should be noted, however, that it works very differently from the others, and that's just one reason why it’s so highly valued. 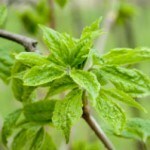 Tienchi boosts energy and endurance and improves blood flow. Polysaccharides like those in Tienchi are rich in oxygen, an essential component in the final step of cellular energy creation. 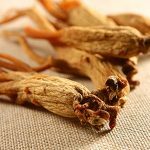 A California State Polytechnic University study of 30 young adults reported a significant increase in endurance, energy levels, and oxygen levels after taking Panax notiginseng for thirty days. How does this happen? When you increase oxygen to your cells, your energy naturally increases. Tienchi also encourages red blood cell production and promotes circulation that delivers oxygen-rich blood to your cells better than Panax ginseng and American ginseng. In addition, it also seems to possess a hemostatic ability that stops internal and external bleeding. It’s basically like a tonic for your blood stream. The better your blood flows, the more oxygen and nutrients delivered to your cells. Blood sugar support is necessary in this day and age, with metabolic syndrome running rampant in the developed world. 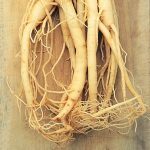 Studies have revealed Tienchi ginseng to be a powerful adjunct in insulin resistance, a hallmark symptom of metabolic syndrome. 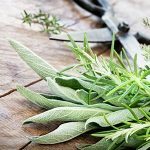 Trials so far have found Tienchi lowers blood sugar by encouraging glucose absorption, reduces irritation associated with diabetes, improves insulin response, and has anti-obesity properties. It also lowers blood pressure and helps improve male fertility. The active compounds in Tienchi ginseng make it ideal for a safe energy boost. Today, tienchi survives through controlled cultivation, so it’s unlikely you’ll find a wild-sourced supplement. For the best results, I personally recommend a ginseng supplement — like Ginseng Fuzion™ — that combines Tienchi with other types of ginseng. 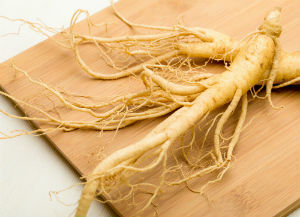 Do you use Tienchi ginseng? Share your experience with us below. Liang MT1, Podolka TD, Chuang WJ. Panax notoginseng supplementation enhances physical performance during endurance exercise. J Strength Cond Res. 2005 Feb;19(1):108-14. Lau AJ1, Toh DF, Chua TK, et al. Antiplatelet and anticoagulant effects of Panax notoginseng: comparison of raw and steamed Panax notoginseng with Panax ginseng and Panax quinquefolium. J Ethnopharmacol. 2009 Sep 25;125(3):380-6. doi: 10.1016/j.jep.2009.07.038. Uzayisenga R1, Ayeka PA, Wang Y. Anti-diabetic potential of Panax notoginseng saponins (PNS): a review. Phytother Res. 2014 Apr;28(4):510-6. doi: 10.1002/ptr.5026.